Dielectric Announces Large UHF and VHF Repack Order from Raycom Media | 90 Degrees North, Inc.
RAYMOND, Maine – August 2, 2017 –Dielectric, a pioneer in purpose-engineered antennas and RF systems for TV and radio broadcasters, today announced that Raycom Media, a major TV station group based in Montgomery, Alabama, has placed a large order for 29 Dielectric UHF and VHF antennas, tunable RF Filters and transmission line to facilitate channel changes for its stations affected by the spectrum repack. The antenna order includes several Dielectric TFU-WB UHF arrays, a low-cost, sidemount, UHF broadband pylon antenna that delivers higher voltage handling, 75% less windload, lower overall weight, and greater cost-efficiency compared with UHF panel antennas. The order additionally includes TFU-G, TFU-E, TFU-J UHF arrays, as well as THV VHF arrays. Most arrays incorporate elliptical polarization for enhanced reception performance in ATSC 1.0, and in preparation for ATSC 3.0. As one of the nation’s largest and fastest growing broadcast groups, Raycom Media owns or provides services for 65 TV stations and two radio stations in 44 U.S. markets across 20 states. Together, these stations comprise 16% of U.S. TV households. TV stations that are subject to the spectrum repack must relocate to their new channel assignments according to the FCC’s 39-month transition schedule. 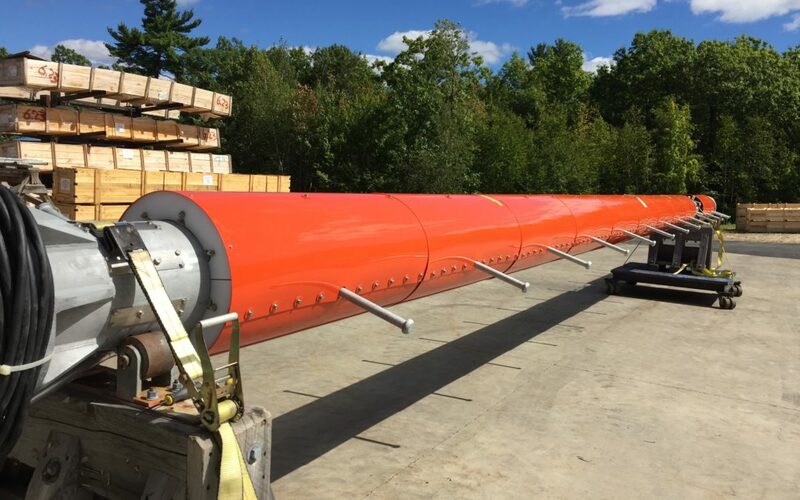 Cognizant of the time-constraints many broadcasters face throughout the repack process, Dielectric has modified its antenna design and manufacturing processes to ensure operational efficiency and accelerated delivery. Dielectric will ship the new antennas to Raycom Media tower sites between September 2017 and February 2020. Raycom Media stations assigned to the first or second phases will receive their new antennas in Q3 and Q4 of this year. For Raycom Media stations scheduled for later phases, Dielectric will have the antennas ready three to six months prior to their respective deadlines. Jay Martin, Vice President of Sales for Dielectric, notes that the TFU-WB UHF arrays are especially attractive to broadcasters faced with the challenges and opportunities of channel relocations. With its broadband capability and robust power input of 60kW, the TFU-WB antenna can accommodate multiple channels simultaneously. Many of Raycom Media’s new antennas will serve as auxiliary or interim antennas that keep channels on the air until permanent antennas are in place. These same arrays will serve as standby arrays for future emergency needs. Since Dielectric’s TFU-WB antennas provide a higher voltage handling capability and higher peak to average power ratio (PAPR) than competing antennas, Raycom Media is also investing in technology that is capable of broadcasting in the next-generation, IP-based ATSC 3.0 broadcast standard. Post-transition, these antennas can be redeployed in Single Frequency Networks (SFN). In this configuration, several smaller transmitters operate in sync with the main transmitter signal to boost the signal across the coverage area. The Raycom Media order also includes new Dielectric tunable RF filters—waveguide designed for exceptional power rating and air-cooled for operational efficiency—along with multiple runs of rigid transmission line.